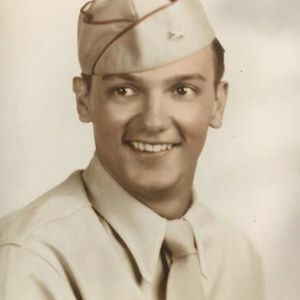 Obituary for Charles L. Faltin, Jr.
Charles L. Faltin Jr., 91 of Hanson. Died on April 4, 2019 at South Shore Hospital in Weymouth. Charles was born on October 16, 1927 in Newark, NJ to the late Charles and Mary (Szilega) Faltin. He was raised and educated in Boston and was a graduate of Commerce High School in 1945. Chuck was the loving husband of the late Francis (Pereau) Faltin. Fran was the love of Chucks life. After high school, Chuck joined the United States Army where he served under General MacArthur in the Pacific Theater at the end of WWII. After the military he spent his career as a Medical Project Director for many major companies. Including Damon and Johnson and Johnson. He was an active member of St. Joseph the Worker Church in Hanson and was a member of the Society of St. Vincent de Paul And the Couples Club . Chuck and Fran enjoyed spending time at Casinos. They loved the challenge of trying new places and new machines! He was a very social man who enjoyed talking to his friends all around Hanson. Chuck loved all dogs, and most especially his cocker spaniels. He always had a cookie or 10 for any dog he met. Chuck and Fran created beautiful porcelain pieces and started their own business- Kafa Porcelain. They designed molds, and perfected the porcelain process. Chuck was in charge of pouring and firing and Fran was the master painter. Christmas ornaments, nativity sets, lamps, and dishes were some of their specialities. Their work was also featured at the Plymouth Plantation gift shop. They had a large following for their creations. Charles was the dear brother of Nancy Ekholm of NV, Grant Tice of West Roxbury and the late James Faltin. He is survived by many nieces, nephews and many great friends. 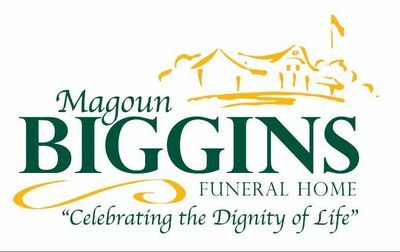 The family welcomes friends and loved ones to celebrate his life on Monday April 8, 2019 from 4:00 PM to 7:00 PM at the Magoun-Biggins Funeral Home, 135 Union Street Rockland, MA. A Funeral Mass will be held on Tuesday April 9, 2019 at 9:00 AM at St. Joseph the Worker Church in Hanson. Burial will follow at Fern Hill Cemetery in Hanson. Donations in Charles name can be made to St. Vincent de Paul AT St. Joseph the Worker Church or the Hanson Food Pantry. The family would like to express a very special thanks to the members and staff at the Bridges by Epoch Nursing Facility in Pembroke for their kind and loving care for Chuck.